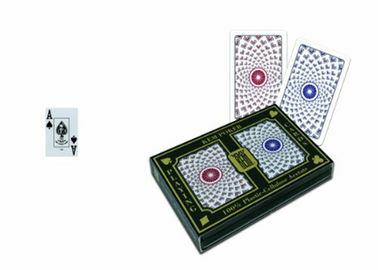 KEM Pantheon deck is virtually impossible to dent or crimp since they are made of a unique blend of paper and plastic that provides superior flexibility and strength for long-lasting use. KEM Pantheon marked cards are finely processed with poker printer and invisible ink from high-quality KEM Pantheon playing cards There is no chromatic aberration between the former and the latter after our mechanical processing. Besides, the KEM Pantheon marked cards are not sticky to one another, giving you the original hand feel. Our company produces two types of KEM Pantheon marked cards: KEM Pantheon back marked cards ( the marks, indicating the suits and numbers, can be printed in the middle or on the white board of the card back ) and KEM Pantheon side marked cards ( the marks, indicating the bar-codes, are printed along the edge of the cards ). And we can also make the marks according to your reasonable requirement. Compared with many of our counterparts who need a few days to make marked cards, we just need a couple of hours to do that. These marks are invisible to human naked eyes, then by what means can you cheat with KEM Pantheon marked cards ? You can use our spy camera lenses to read the marks printed on the back of KEM Pantheon playing cards with infrared invisible ink, laser invisible ink and light-less invisible ink. There are three kinds of such back marked cards. Infrared ink marked cards can be read by infrared spy camera lens, laser spy camera lens ( both generation 2 and 5 ) and light-less spy camera lens, whereas only light-less spy camera lens is capable of recognizing its corresponding marks. KEM Pantheon back marked cards made with invisible ink of the 2nd generation laser can be read by laser spy camera lens of both generation 2 and 5, but only the 5th generation laser spy camera laser can enable you to see its corresponding fluorescent marks. As their magic part is completely concealable, these spy camera lenses look the same as common ones and they send signals using WIFI Different levels of definition of these spy camera lenses may give you different visual experience. So if you have requirement for their definition, there are three levels for your choice: 360P, 720P, 1080P. The bigger the number is, the more clearly you can see those marks. You can use our special contact lenses to see the marks printed on the back of KEM Pantheon playing cards with luminous ink and other light ink of different wavelengths. There are three kinds of such back marked cards and each kind can only be read by its corresponding one-to-one contact lenses. The luminous ink marked cards have been launched into market for years and have gained popularity for making a good team with the luminous contact lenses in cheating at poker games. However, their fame has robbed them of their secrecy and contributed to the invention of other types of one-to-one back marked cards. The biggest advantage of these marked cards is that they, as cheating devices, have not been put into wide use. Their existence is still unknown to many people, giving you bigger chances to cheat at poker games without being found out. All of the contact lenses are made of high-quality material, comfortable to wear and harmless to human eyes. People from different regions may have different requirement for the color of the contact lenses because of their eye color. Yet, our company have contact lenses of different colors for sale, such as black-eye contact lenses, gray-eye contact lenses, blue-eye contact lenses and green-eye contact lenses. Whatever your eye color is, there will be suitable contact lenses for you. The degree and center diameter ( ranging from 4mm to 12mm ) of the lenses can be customized according to your requirement as well. You can use our poker analyzers to scan the marks printed along the edge of KEM Pantheon playing cards with IR ink, UV ink and laser ink. There are five kinds of such marked cards and each kind can only be scanned by their corresponding all in one poker analyzer. The camera lens equipped inside these poker analyzers can decode the code of the marked cards quickly and transfer poker games results accurately to a wireless earpiece. Only the user can hear the results transmitted to the earpiece fully hidden inside the ear. 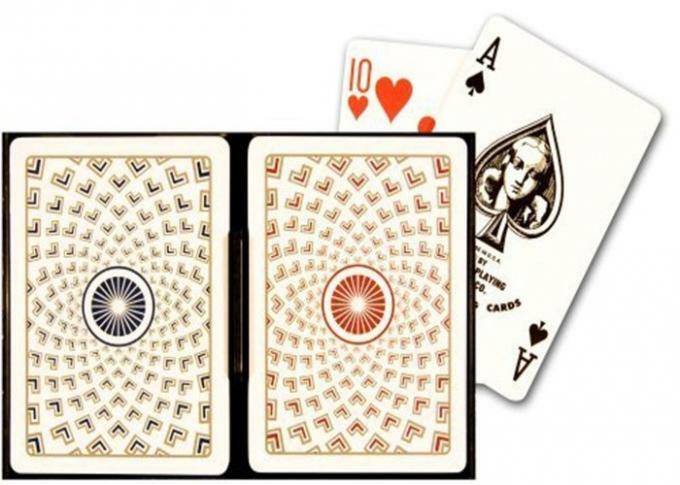 Apart from those mentioned above, our company also sells many other cheating devices for poker games like cheating poker shoes and automatic cheating shufflers, which also can work with our KEM Pantheon marked cards in poker cheat.